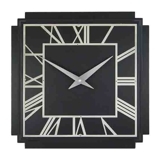 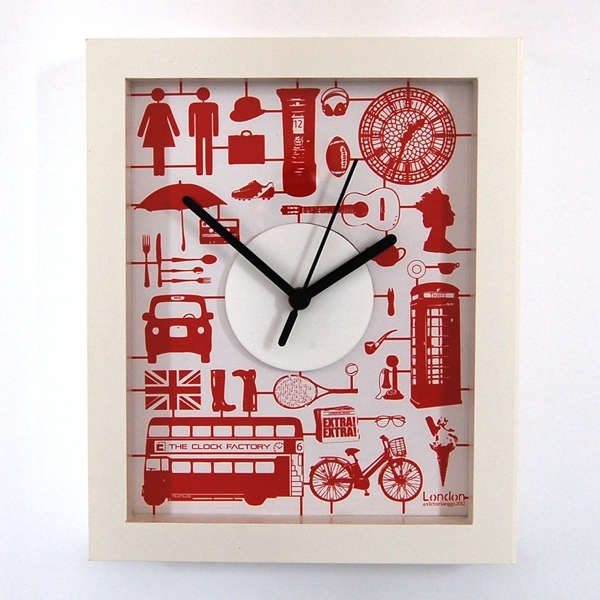 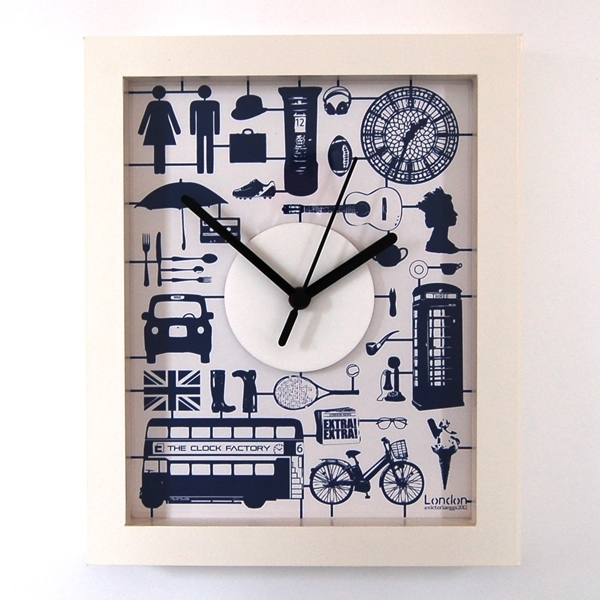 Contemporary white framed wall and mantle clock featuring iconic London airfix design by Victoria Eggs. 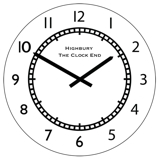 Each clock includes one insert plus a template to enable you to draw around and cut out additional inserts. 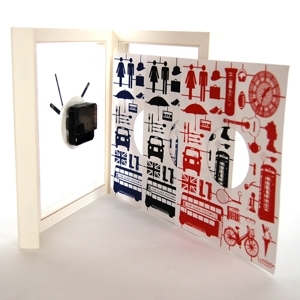 Wallpaper, gift wrap, photographs and even fabric can all be used to cut out and create unique customised backgrounds which can be cleverly interchanged by simply opening the magnetic frame and then swapping around the inserts to suit your decor. Insert design also available in Black or Navy. 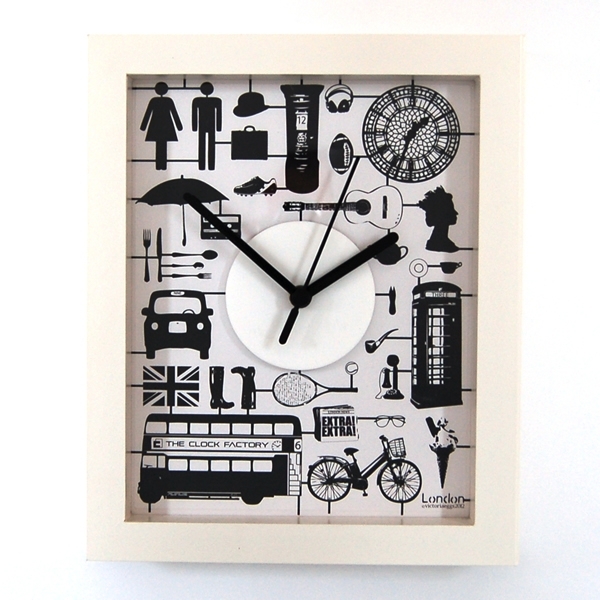 Black hands powered by a precision quartz movement for perfect time keeping.